Awake to peace and comfort at Fairfield Inn & Suites Amarillo Airport. Our hotel offers easy access to popular attractions. After taking our free shuttle from Rick Husband Amarillo International Airport, discover Palo Duro Canyon State Park and The Big Texan Steak Ranch. When you're ready to retire from your adventures, enjoy sweet slumbers in our spacious rooms and suites. We make you feel right at home with complimentary Wi-Fi, plush bedding and flat-panel TVs. Energize your mornings at our free breakfast buffet served daily. If you're in need of on-the-go snacks and beverages, stop by The Market. Make use of our fitness center and indoor pool to maintain an active lifestyle throughout your travels. Need to host an event? Our event venue is perfect for social and business occasions for up to 80 people. 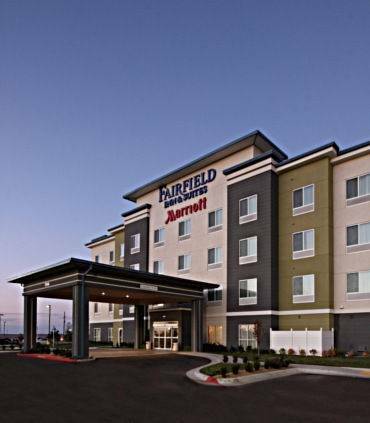 At Fairfield Inn & Suites Amarillo Airport, youre our #1 priority. Ask us about The Fairfield 100% Guarantee , where we promise you'll be satisfied or we'll make it right. That's our commitment to you.